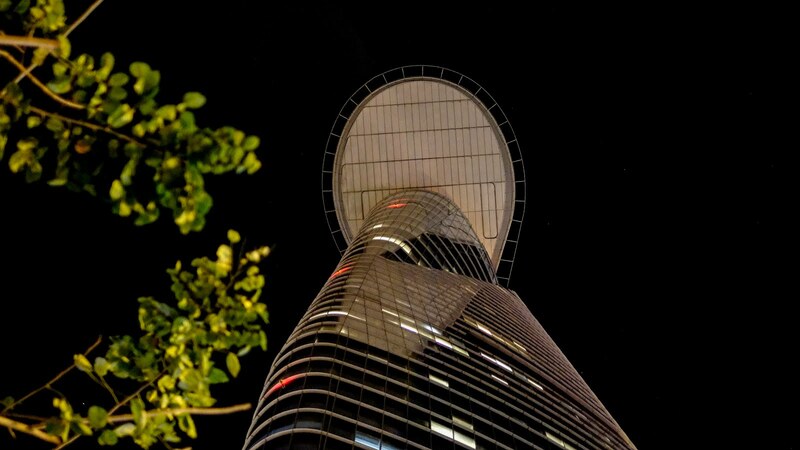 The Bitexco Tower, 68 storeys tall, was completed in 2010. It was the tallest building in Vietnam for a year before being surpassed. It's currently the fifth tallest. The deck that sticks out hosts a viewing platform and a helipad. And it makes for a great shot when stood at the bottom looking up.